Gorgeous card. I love the words imbedded in the design. Pretty colors. 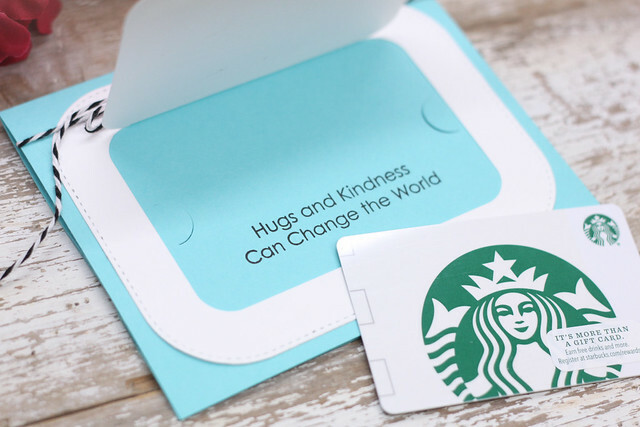 I would love to receive this card with or without the Starbucks card. You make me want them all, Laurie! LOve the glossy goodness!! 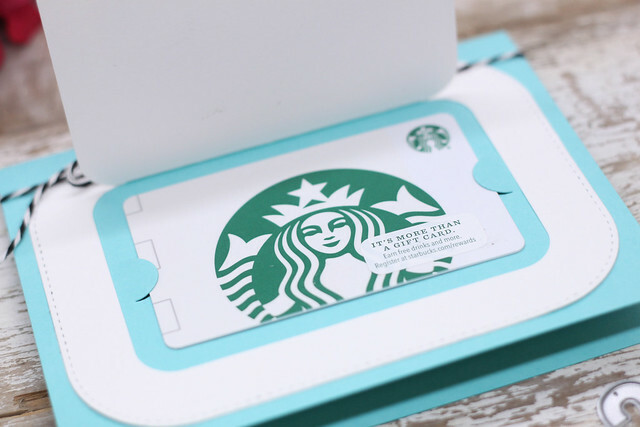 Very pretty card and a wonderful way to give a gift card! What a great idea. I think I will CASE this for my granddaughter. She loves getting surprises in the mail. 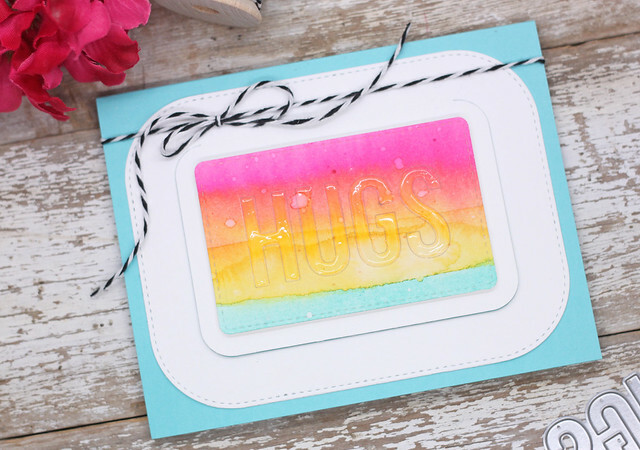 Such a clever idea and your watercoloring is just beautiful, Laurie! Thanks so much for sharing it with us! Love the watercoloring and the glossy accents! What a great idea !! Very creative..